The Health Center Resource Clearinghouse quality standards have been developed based on a consensus‐driven model across stakeholder organizations and are adapted from multiple, leading clearinghouse industry sources. The National Resource Center for Training and Technical Assistance’s Clearinghouse Working Group refined these standards by emphasizing that Clearinghouse resources for health centers must be practical (defined as: actively translate knowledge or strengthen skills), relevant (defined as: focus on topic areas that address priority areas for community health centers and partners), and current (defined as: contain the latest or reasonably recent information or data on a topic). The quality standards were adopted from clearinghouse industry sources such as the de Beaumont Foundation’s Public Health Workforce Continuing and Professional Education (CPE) Quality E‐Learning Standards; Quality Standards for Training Design and Delivery v. 1.0: Online Learning Edition, developed in collaboration with the Public Health Learning Network; and the MCH Digital Library’s Collection Development Policy. Six overarching Collection Principles that guide collection development of the Clearinghouse. Five Quality Standards that serve as a practical checklist for defining inclusion into the collection. Retention Policy for sunsetting older and/or outdated materials. These standards are augmented by a four‐step Vetting Protocol, based on the MCH Navigator’s Screening Process and based on input from the Advisory Group responsible for the Health Center Resource Clearinghouse. The Vetting Protocol is part of the Clearinghouse’s Standard Operating Procedures. This protocol ensures materials added to the Clearinghouse collection are accurate and applicable to health center professionals. The vetting protocol is reviewed on an ongoing basis as needs of the Clearinghouse evolve. A systematic review of clearinghouse materials is conducted annually by sponsoring, or submitting, organizations, with administration support by the National Association of Community Health Centers (NACHC) and oversight by the federal funder in order to maintain relevance and collaborative focus. Principle 1: Addressing “who are the target audiences?” The Clearinghouse provides resources to community health center professionals and others for the purpose of building stronger and healthier communities via robust and effective health care delivery operations. Clearinghouse collection is focused on those materials submitted, or sponsored, by cooperative agreement holders of HRSA’s Bureau of Primary Health Care (BPHC) and the collection targets the health center setting. Target audiences for materials may include health center administrative staff, boards of directors, senior “C‐Suite” staff, clinicians, enabling staff, outreach staff, and patients, in addition to Primary Care Associations (PCAs), Health Center Controlled Networks (HCCNs) and other National Cooperative Agreement (NCA) organizations. Principle 2: Addressing “what does the Clearinghouse collect?” The Clearinghouse collects materials that are free, current, and publicly available – either via a direct link or a free registration portal – on the sponsoring, or submitting, organization’s website or other trusted site. Publicly available is defined as “any information reasonably believed to be lawfully made available to the general public” (source: 17 CFR 160.3). Types of materials collected may include archived webinars, online self‐paced learning modules (including those offering continuing education (CE) credits), patient materials, podcasts, publications, templates, and toolkits. Focused topic areas may include capital development, clinical issues, chronic disease management, emerging issues, finance, governance, partnerships, health information technology, leadership, outreach, practice transformation, quality improvement, social determinants of health, special/vulnerable populations, and workforce development. Principle 3: Addressing “where are materials located?” The Clearinghouse provides direct access to resources or access through a short, free registration portal provided by the sponsoring organization, which may mean materials are hosted by trusted partner organizations. Materials are not housed within the Clearinghouse platform itself; instead access is directed to the sponsoring organization. Materials in the Clearinghouse are annotated with sufficient information to allow users the ability to choose and access materials most relevant to their needs. Principle 4: Addressing “when are materials reviewed and archived?” Annually, materials are reviewed by sponsoring, or submitting, organizations for currency and relevance; older materials should be archived and replaced as newer materials that cover the same topic become available, if relevant. Principle 5: Addressing “why does the Clearinghouse collect certain materials?” The Clearinghouse is not meant to be a repository of every possible resource that could be of potential use to health centers. 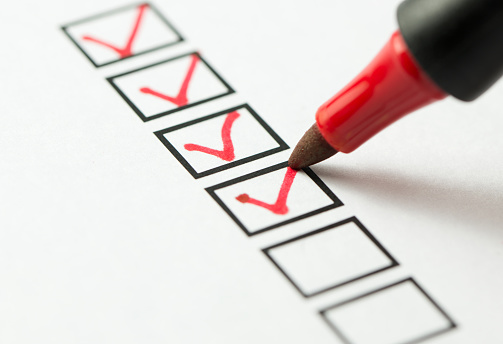 The Clearinghouse serves as a curated collection of the most relevant resources that meet a set of agreed‐upon quality standards (see Quality Standards Checklist below). The quality standards are intended to serve as guidelines. Exceptions can be made to address emerging or high‐priority needs or where it benefits the Clearinghouse’s primary audiences and has approval from the federal funder of the Clearinghouse. Principle 6: Addressing “how does the Clearinghouse collect materials?” The Clearinghouse relies on the federal funder of the Clearinghouse (HRSA Bureau of Primary Health Care) and its National, State or Regional Cooperative Agreement (NCA, S/RPCA) entities or Health Center Controlled Network (HCCN) organizations within the national Health Center Program to submit materials for inclusion in the Clearinghouse collection. An online form is available to upload individual resources; a bulk‐upload form is available to facilitate uploading of multiple materials. Clearinghouse staff also seek out resources to address gaps in the collection and to address priority topics. Materials that have utility in the health center setting. Materials that adhere to the vetting protocol approved by the federal funder of the Clearinghouse. Materials that are current, freely accessible, and easily available on the sponsoring, or submitting organization’s website. In addition, to be included in the Clearinghouse, materials must meet five quality standards. Below is a checklist intended to be used by sponsoring, or submitting, organizations when considering a resource for the Clearinghouse. Note: “Factors to consider” under each standard are presented as clarifying guidelines to assist in determining whether each standard has been met; not every factor has to be applicable to the resource in order for the standard to be met. Access. Materials must be free, publicly available, and easily accessible. Is the material available freely and directly through the sponsoring, or submitting, organization’s website via a direct link? Is the material accessible to users with disabilities (e.g., visual, motor, cognitive)? Is the material’s level of knowledge acknowledged (e.g., low‐literacy, basic, intermediate, advanced)? Are resources available in languages other than English and multiple literacy levels? Audience. Materials must meet the needs of the relevant target audience with the goal of having utility in health center settings. Does the material address the needs of a relevant target audience: for example, administrative staff, boards of directors, senior “C‐Suite” staff, clinicians, enabling staff, outreach staff, Primary Care Associations (PCAs), or other National Cooperative Agreement (NCA) organizations? Is there a secondary audience for the resource? Authorship/Authority. Materials must be sponsored, or submitted, by the federal funder of the Clearinghouse (HRSA Bureau of Primary Health Care) or its National, State or Regional Cooperative Agreement (NCA, S/RPCA) entities or Health Center Controlled Network (HCCN) organizations within the national Health Center Program. Has the material been sponsored by one of the approved submitting organizations? Currency. Materials must be recent and align with current evidence‐based practice; older items may be considered if they set the foundation for future work or maintain relevance over time. Has the material been created, updated, or modified within the last five years? If not, is the material considered seminal in that content is timeless or foundational? Is content accurate and relevant without update? Is this the most recent resource that addresses this topic and audience? Does the material align with current evidence or practice trends? Has the material been developed or reviewed by a subject matter expert? Relevance. Materials must address relevant topic areas. Does the material address relevant topic areas curated on the Clearinghouse, for example: capital development, clinical issues, chronic disease management, emerging issues, finance, governance, partnerships, health information technology, leadership, outreach, practice transformation, quality improvement, social determinants of health, special/vulnerable populations, and workforce development? Does the material address an emerging topic area? Does the material address a gap in the field? Materials whose electronic access has been broken (“broken link”) will be investigated by Clearinghouse staff quarterly; the sponsoring, or submitting, organization will be contacted to update the link or indicate that the resource can be archived. Sponsoring, or submitting, organizations are asked to review their material in bulk annually to remove materials that fall outside of Quality Standards. Outdated materials are removed from the collection and replaced with new, updated materials – as available – by the sponsoring organization. Information on archived materials are removed from the website but kept in the Clearinghouse database with an inactive status for historic and planning purposes.